January 11, 2014 By Elizabeth Lindemann 33 Comments / This post may contain affiliate links. Yep, that’s right, just like you find in your burrito at Chipotle. 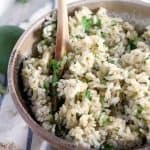 This recipe for Cilantro Lime Brown Rice is super easy to make as a side dish or as an addition to make-ahead frozen burritos. Or piled up with with beans, vegetables, salsa, sour cream, and avocado. It’s very versatile, very tasty, very inexpensive, and super simple. Whenever I make rice, I toast it slightly in butter before adding water. It adds a deeper depth of flavor to the rice. Melt 1 tablespoon of butter in a medium pot over medium heat, and add 1 cup of brown rice (I used basmati), the zest of one lime, and 1/2 teaspoon of salt and toast, stirring occasionally, for about 3 minutes. Add 2 cups of water (or chicken or vegetable stock, if you are feeling crazy). Stir, bring to a boil, cover, and turn the heat to low. Simmer for approximately 20 minutes, or until the rice is cooked and the liquid has been absorbed. Stir in 1/4 cup chopped cilantro and the juice of the same lime you zested. Serve as a side or stuffed into your favorite burrito, such as baked chipotle chicken burritos. 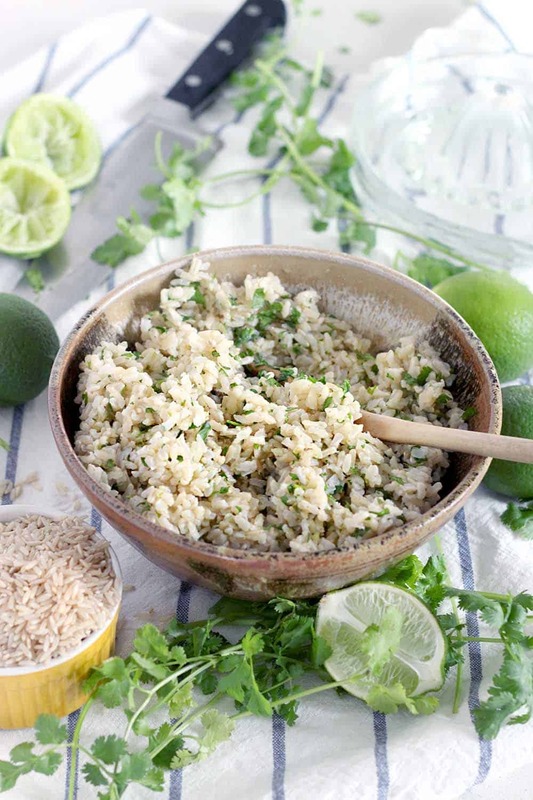 Cilantro Lime Brown Rice- just like you get at Chipotle! An easy side dish made with only three ingredients. 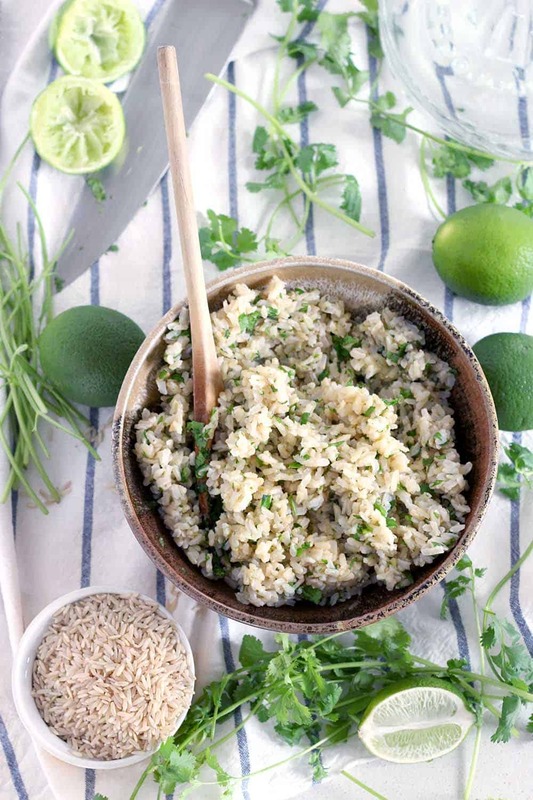 Brown rice is cooked with the zest of one lime, with lime juice and cilantro added at the end. Melt butter over medium heat in medium-sized pot. Add rice and the zest of one lime; toast, stirring occasionally, for 3-5 minutes. Add liquid, stir, bring to a boil, cover, and turn heat down to low. Simmer for approximately 25 minutes or until rice has absorbed all the liquid. Stir in lime juice and chopped cilantro. If you have a particularly juicy lime, start with only 1/2 of the juice. Taste and add more if necessary. I just made a double batch of this, and it’s EXACTLY like Chipotle’s rice. I used brown long grain rice from Sprouts. I used 3 limes instead of two as mine were small. Also I rinsed the cooked rice out in a very fine screen when it was done cooking so that the lime zest wouldn’t be lost. I also used 3 limes zest. I love limes as you can tell. Thank you for this recipe. I’ve been wanting Chipotle’s lime/cilantro rice for ages and I’m glad I found yours! SO glad you liked it! Thanks very much for the comment and suggestions! Oh no! Sorry my website ate your comment :-( I’m so happy you are liking the blog- thank you for saying so! 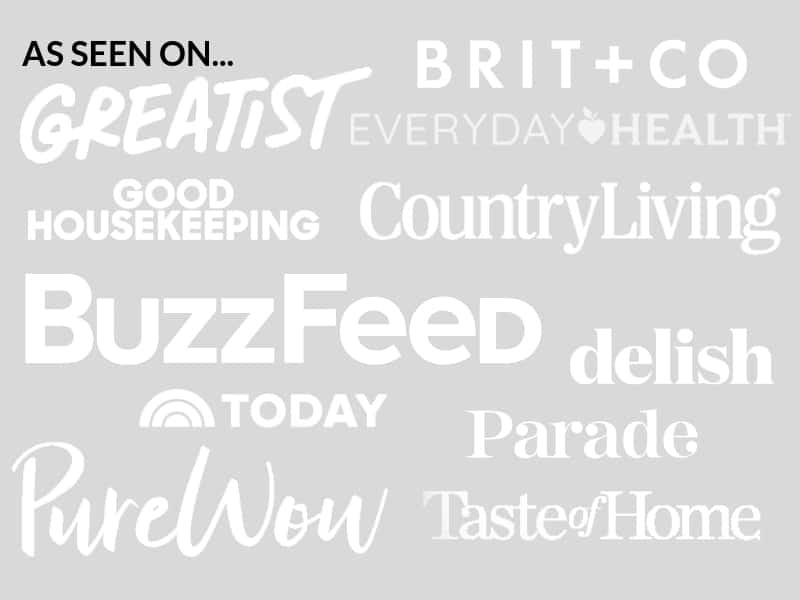 I love food blogging and would encourage ANYONE to start a blog about something they love. I think my biggest piece of advice is to make sure you are writing about what you like and know a lot about, otherwise it won’t be sustainable and you’ll get sick of it. And if you want it to be your job and make money from it, treat it like a business from day 1. Post consistently, and try to learn as much as you can. It’s easy to feel overwhelmed at first, since there is a surprising amount of stuff that goes into it, so take it one step at a time. Happy to answer any questions you have that come up, feel free to contact me if you have more specific questions! Good luck! I used brown basmati rice- I find it’s the best for non-sticky rice! I made this and it’s DELISH!!! Thank you so much!! Have you done this in a rice cooker? If yes, do you just add all the ingredients in the rice cooker & just let it cook or do you still pre-cook the rice using your method for 3-5 minutes? This evening we needed a quick meal idea and ended up with seasoned cod grilled on a himalayan salt block, a mixed greens salad (Organix baby romaine, Organix baby spinach, chopped artichoke heart, sundried tomato, green onion, parsley, lemon juice, olive oil, fresh ground pepper, garlic) and the recipe that pulled the meal together – my makeshift version of your terrific rice recipe. I had to improvise to work with what was in the pantry, which is why I am commenting – my first time & likely last, to comment on any site anywhere on the www. :-). Per your instructions, about 20ish minutes later, voila – juice of a lemon and 1/4 or a little more freshly chopped cilantro thrown in after removing the rice from the burner and dinner is served. Start to finish, all in under 30 minutes – That’s a winner in my book! I was a little concerned the rice was going to be sticky when I first peered in after lifting the lid, but it turned out wonderfully well! It did not achieve its lovely texture until the juice and cilantro were added, but then it was absolute perfection! 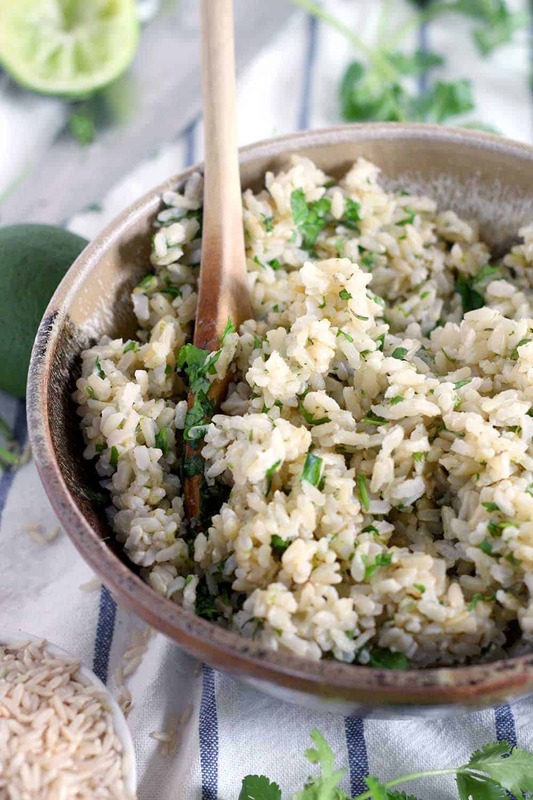 My entire family enjoys lime cilantro rice quite often in our favorite Tex-Mex restaurants and will continue to enjoy yours at home! I would not say this evening’s lemon version would surpass my desire for the great lime creation; however, this really complemented the meal beautifully. In fact, my hubby and I decided the rice & salad were so tasty together, I plan to create a new dish inspired by the combinatino of ingredients for a tasty light lunch sometime soon. Thanks so very much for your recipe. Supper was saved by a Bowl of Delicious! Hi, I tried the recipe and it was great! Very inspirational. I kinda put a twist to it by adding lemon. This was my first times making this recipe turned out well! I’ve always wondered how this would be with lemon! I’ll have to try it sometime. Glad you liked it! I am trying to keep away from butter and oils is there anything you recommend to replace it? You don’t technically need to use butter or oil to make rice- just omit it and add the rice and water together. Hope that helps! I always add salt to my rice in the very beginning, so the salt infuses into the rice grains (like pasta). Makes it more flavorful! How does this have 742 calories!? Holy cow that is a lot!! I want to try this but that is almost half of the calories I eat in a day! Don’t worry! I believe that number represents the ENTIRE batch of rice, not one serving! It has about 6-8 servings of rice (depending on how hungry you are or how big of a side you want it to be). So if you have 8 servings, that’s actually fewer than 100 calories a serving! :-) The nutrition info just started showing up in my recipes and I have to do some tweaking to try and figure out how it works. Thanks for the heads up, and sorry for the confusion! I needed to add more water to cook the rice for this recipe. Thanks for letting me and my readers know! Can I ask what kind of rice you used? I find that different kinds of brown rice require more or less water. I had the same problem as SM, my rice did not get done despite extra time and I even added some extra water after it had cooked 40 minutes. Did you notice that in the written instructions in the body of the text between the photos that it calls for “1 and 3/4 cups water” instead of 2 cups as are called for in the listed ingredients? I was reading as I went down the page and only added 1 & 3/4 cups water– do you think that could have been the problem? Ah! THANK YOU for letting me know about that discrepancy! I recently changed the recipe card instructions to say 2 cups (due to reader feedback) and I forgot to change the text in the post. Fixing now- thanks again! I can’t see how much butter? Jenny- thanks for catching that! I often forget to put the measurements for butter or oil since I usually just eyeball it :-) 1/2 tablespoon should be good (although if you are in a buttery mood, a full tablespoon would make the dish richer and delicious!). Hope this helps- fixing the recipe now! I love the combo of flavors! I just wanted to let you know that I have a website (Simply Creative Recipes) where I showcase recipes that I find and I am linking to this post if you don’t mind. Please feel free to submit any of your recipes to my site if you’d like. Sounds great! I also like to simmer my rice, but I’ve used olive oil and cumin for a mediterranean flair. Looking forward to trying this Chipotle style rice. Thanks, hope you like it! What a good idea- I love cumin, it’s definitely one of my top favorite spices- I’ll have to try using it in rice this way sometime!